About 8.5 years ago, I made a major lifestyle change by going gluten free. After that, I became more aware about nutrition, green living, ethical consumerism, sustainability, and so much more. Our lifestyle has continued to change over the years little by little. The more I learn, the more changes I implement - it's as easy as that. One of the changes that I've been considering and desiring for the last couple years is to go zero waste. I've made some strides and intentional choices, but I so badly want to go all in! I have a reusable water bottle and coffee mug, glass jars, Stasher bags, shopping and produce bags, and more. My biggest obstacle right now is that Romania is a sachet culture. This means that in order to make everyday items, especially name brands, affordable, they package them into smaller quantities at a lower cost. While it's good and needed, you're also left with an environmental nightmare. Packaging that cannot be recycled or reused goes directly into the landfill. In short, it's helping an economic problem while creating an environmental one. In the bigger cities in Romania, you can find some bulk sections in the supermarkets, but where we are the options are extremely limited and almost nonexistent. I'm hoping to work out a solution soon! I try to be very intentional about the decisions I make and not just follow the trends. When I first heard about the zero waste movement, it caught my attention for a specific reason. 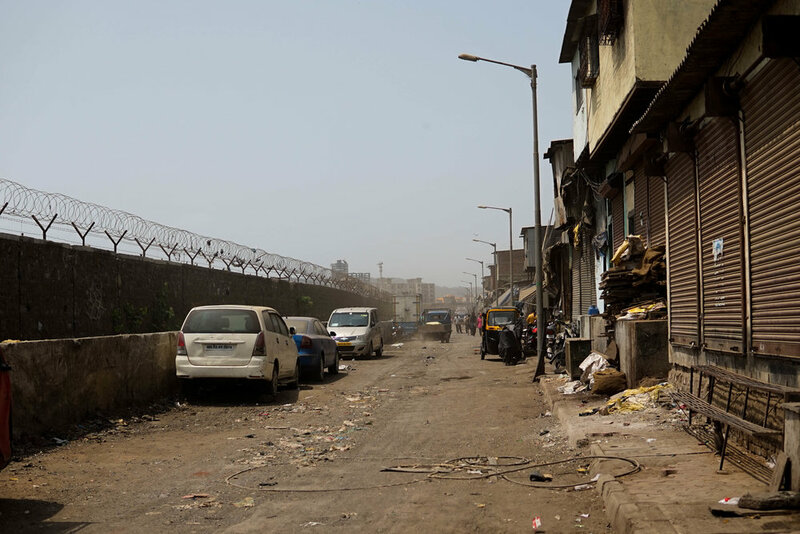 In India, one of the communities I visit every time I go is located at the city's trash dump. It is one of the most degrading things I've ever seen. People are living next to or in mounds of trash that mainly consist of sachets and plastic. As a result, the smell is horrendous and it is one of the dirtiest places imaginable. When I first learned about human trafficking and began to understand vulnerability in general, I made a commitment to myself. I will always choose people over products and my own convenience. You may be asking, how does the trash you produce in Romania have anything to do with the trash in India? But to me, it matters. My trash may not end up in that dump, but it ends up in one here. It ends up in the oceans, and believe it or not, rich countries dump their trash on less privileged ones. It pollutes the air, it kills God's creation, and it creates life-altering consequences for the people I claim to love. When I try to tackle a new change like this, I never require perfection from myself. If all I end up doing is significantly reducing the amount of trash I produce, meaning that I am never fully "zero waste," I'll be okay with that. I don't want any of the decisions I make to turn into a form of legalism, but I do want to take action and not remain complacent or part of a problem. These lifestyle changes are simple at the core - it's about making a different choice and being consistent with that choice. And, it takes some serious commitment and intentionality. I'm getting organized right now and will share more about the steps I plan to take soon. In the mean time, I'd love to hear if you've tried going zero waste or have any helpful tips and/or resources! I'm all about not doing this kind of thing alone. We're stronger together!